The original author of the popular anime “Lupin III”, the mangaka Monkey Punch (real name Kato Kazuhiko) died on April 11th of pneumonia, he was 81. A private funeral was held. You too can be a producer like Yoshiki. A behind the scenes look at the making of the CM. The idol-raising web browse game started its service in Japan on April 24, 2018, it is now available as an app for iOS and Android. Learn more about the game here. What happens when Hello Kitty is introduced into the Gundam universe? Perhaps we’ll find out in episode 2. Stay tuned! In Calico you play the a magical girl that is tasked to collect cute animals for her cafe. GDC 2019 The Mix prize winning Calico makes its way on to Kickstarter April 2nd. The game is slated for a 2020 release for Mac and PC. 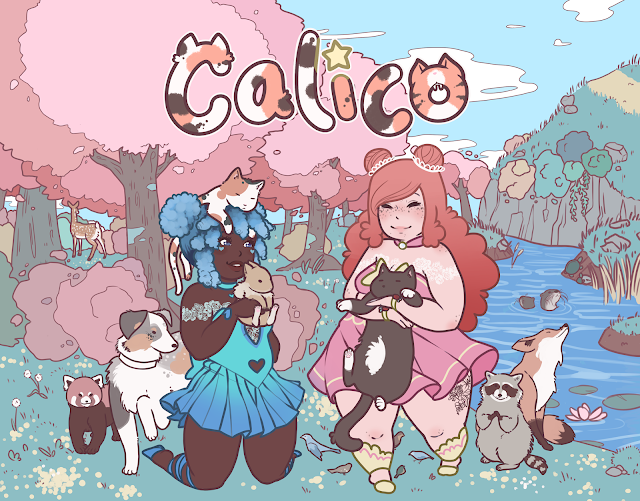 If you are a fan of magical girls and cute fluffy animals please show your support for Calico. This early build of Calico gives you a taste of the fluffy action. Update: Calico Kickstarter is live! Indie studio Denki Tiger announces they have started development of new iOS game called Neko Dachi Dash. The game is slated for release in the fall of 2019. The game is a cat themed platformer, an early alpha demo is expected to be playable at GDC this year.